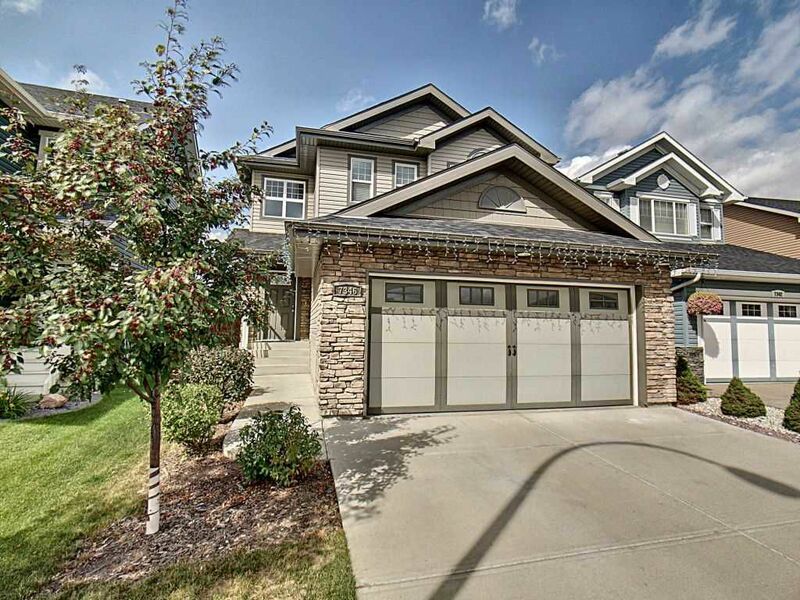 Immediate possession of this immaculate 1584 sq ft 2-Storey House in the desired family neighborhood of Emerald Hills. The main floor offers a bright open concept plan, ½ bath with laundry pair and living room with hardwood floor & gas fireplace. The free flow kitchen boasts a walk-in pantry, large island with eating bar and stainless steel appliances. The dining area is perfect for a large table and provides easy access to the ample sized deck through sliding patio doors. House features Central AC, Built-in vacuum & LED lights on stairway to 2nd floor which features a large master bedroom with walk-in closet and ensuite, 2nd and 3rd bedrooms and a full bathroom. Across the street from a park & kids playground this ideal family home with insulated double attached garage is close to all amenities, shopping, schools, new hospital and convenient access to Yellowhead & Anthony Henday.